Dr. Boe completed his undergraduate degree in 2002 from Brock University (Hon BPhEd in Kinesiology), followed by graduate and clinical training at the University of Western Ontario (PhD Kinesiology, 2006; MPT, 2008). 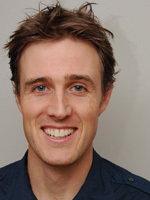 Prior to joining the School of Physiotherapy at Dalhousie University in 2010, he completed postdoctoral training through the Heart and Stroke Foundation Centre for Stroke Recovery (HSFCSR) at Sunnybrook Health Sciences Centre, the Toronto Rehabilitation Institute and the Rotman Research Institute. Read more on Dr. Boe and his research. A physiotherapist with over 30 years of experience in adult neurological rehabilitation within the public healthcare system. 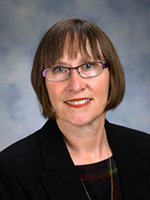 Gail Creaser is a creative and collaborative partner in inter-professional health education within the Faculty of Health. She is a skilled clinician with Canadian and international experience and is committed to teaching evidence-based care. Dr. Curwin is originally from Moncton, New Brunswick. After studying physiotherapy at Dalhousie, she started one of the first private physiotherapy practices in Atlantic Canada in 1979, before returning to graduate school at Dalhousie (MSc in Kinesiology, Biomechanics) and UCLA (PhD in Kinesiology, Connective Tissue Physiology). Dr. Curwin's clinical experience and collaboration with colleague Dr. William Stanish led them to develop the "eccentric exercise program" for repetitive strain injuries that is now the accepted standard worldwide for treating chronic tendinopathies such as tennis elbow and Achilles tendinopathy. Dr. Curwin has held academic positions in both the United States and Canada. She is a licensed physiotherapist in Nova Scotia, New Brunswick and California and continues to be active in clinical practice. 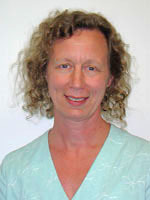 Dr. Gail Dechman joined the School of Physiotherapy at Dalhousie University in September 2006. She completed her BSc in Physiotherapy at Queen’s University and received her PhD in respiratory physiology from McGill University. Prior to joining the faculty at Dalhousie University she held faculty positions at McGill University and at Husson College in Bangor, Maine. Dr. Dechman also worked for three years as the Centre Director of the Kuwait-Dalhousie Physiotherapy and Rehabilitation Project, the goal of which was to improve the standard of rehabilitation care in the state of Kuwait through education, service, and research. Dr. Dechman has extensive clinical experience in cardio-respiratory physical therapy, with an emphasis in ICU care and cardiac and pulmonary rehabilitation. Currently she teaches courses in exercise physiology, cardiorespiratory care and research methods. Dr. Marie Earl (BSc Physiotherapy, University of Western Ontario) completed her doctoral work on the neuromuscular control of posture and movement at the University of Waterloo (PhD Kinesiology). At the School of Physiotherapy, Dalhousie University, her teaching and research activities focus on exercise techniques to reduce falling and improve function of seniors who have balance problems. Changes in muscle and sensory function can have major effects on a person’s mobility. By applying better knowledge of muscle and sensory systems to clinical assessment and treatment options, Dr. Earl is working to find better ways to protect or restore balance and mobility of people whose health is threatened by inactivity, illness, or injury. Dr. Fenety has been in the field of physiotherapy for over 30 years, and has a PhD in Anatomy and Neurobiology. Her research and practise spill into the classroom, providing a wealth of practical examples to share with and inspire, her students in the areas of orthopaedic physiotherapy. Anne has been appointed Director for the School of Physiotherapy since 2013, Acting Director from July 2012-2013. Dr. Harman's research interest is in the study of pain from prevention of chronicity to the management of chronic pain – a recurring research theme throughout her career. Dr. Kozey's research is focused on bone and joint disorders (musculoskeletal), specifically lower back disorders and osteoarthritis: two of the most prevalent and costly healthcare problems worldwide with particular relevance to Nova Scotia. A healthy musculoskeletal system is vital for mobility and physical function. The ultimate goal of Dr. Kozey's research is to impact the health of Nova Scotians and have a global impact as this problem is highly prevalent in other industrialized nations. 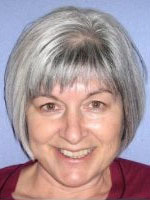 Dr. Marilyn MacKay-Lyons specializes in neurotherapeutics - the application of physiotherapy principles and techniques to improve the mobility and function of people with such neurological disorders. 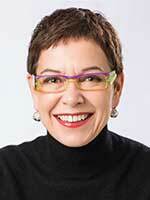 She has spent more than 30 years in this field as a clinician, researcher and educator. Dr. MacKay-Lyons received her BSc (Physical Therapy) from the University of Toronto, her MSc (Physical Therapy) from the University of Southern California, and her PhD (Physiology) from Dalhousie University. Currently she is an Associate Professor in the School of Physiotherapy at Dalhousie University, is an affiliated scientist at the Capital District Health Authority, and holds cross-appointments with the Department of Medicine, Dalhousie University and the IWK Health Centre. She is on the Board of Directors of the Canadian Stroke Network and serves as Chair of the Scientific Advisory Committee for the Heart and Stroke Foundation of Nova Scotia and Associate Editor of Physiotherapy Canada. Dr. Moyer’s clinical research program is focused on individuals with musculoskeletal conditions with a specialization in rehabilitative and surgical interventions for patients with osteoarthritis. 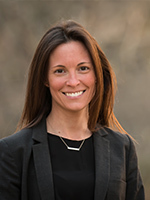 Her work consists of various research designs that incorporate clinical gait biomechanics, radiographic, performance-based and patient-reported outcomes to improve mobility and activities of daily living. Dr. Moyer’s interests also include imaging outcome measures of disease progression using magnetic resonance imaging (MRI) – derived measures of knee and hip morphology, and their use in clinical research methods. This research aims to clarify the relationships between mechanical, biological and structural markers of osteoarthritis progression, how these markers differ across patients with osteoarthritis and how they respond to novel strategies. Read more on Dr. Moyer and her research. Dr. Derek Rutherford obtained undergraduate degrees in Kinesiology (University of Western Ontario) and Physical Therapy (University of Toronto) before completing his MSc in Rehabilitation Research and PhD in Biomedical Engineering at Dalhousie University. Dr. Rutherford is an Assistant professor in the Schools of Physiotherapy, Biomedical Engineering and Health and Human Performance at Dalhousie University and affiliate scientist with the Department of Surgery: Orthopaedics, at Capital Health. Dr. Rutherford specializes in quantifying mechanics and muscle activation characteristics of lower extremity injury and disease to develop and evaluate conservative and surgical management strategies and is the lead researcher in the newly established Joint Action Research laboratory in the School of Physiotherapy. Read more on Dr. Rutherford and his research.